Chocolate Wars tells the history of chocolate manufacturer Cadbury, from founding to controversial sale to Kraft. Interwoven into the story are histories of other confectionery manufacturers whose names have become synonymous with sweets: Fry, Rowntree, Lindt, Hershey, Suchard, Terry and many others besides. Of course, the author is herself a member of the Cadbury family, lending a personal tone to the narrative. Of course, as with any story of this type, there’s a good dose of social history in the mix as well. This should be a book I enjoyed. I like a bit of social history, and I like a good business story. I enjoy biographies, and I enjoy chocolate. And this book has won high praise from almost everyone who has reviewed it. Yet I’m afraid that I struggled to get through this book. Others have called it ‘pacey’ and ‘thriller-like’, but I found it a little like wading through treacle in two respects: it was hard to get through, and far too sweet. An example of the former from early in the book, there is seemingly endless discussion of the qualities of “Iceland Moss”, a profoundly unsuccessful early Cadbury product. It felt like there was an awful lot of description of the product, and of its lack of success, but also – and this seems to be a problem throughout – discussion of the intentions and feeling of the Cadbury brothers when developing the product. The evidence cited for drawing these conclusions about motivations is often poor, and feels like it has been imposed, rather than simply reported, by the author. But perhaps this is unfair; perhaps the feelings and motivations were well-researched and accurately reported. But that simply isn’t how Chocolate Wars felt to me: it felt wearingly revisionist. 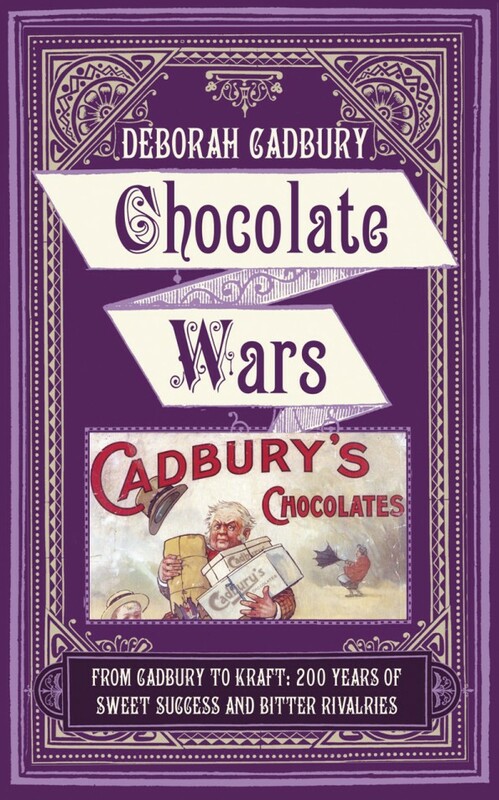 As an example of the latter, Chocolate Wars seems to expect the reader to respect the Cadburys for abandoning their principles in favour of profit early on, attempting to reintroduce them as they returned to profit, and then gradually eroding them again. I’m afraid I found all of this rather tiresome. I understand that the family faced a moral dilemma, choosing between values and success, but their continual inability to choose a side of the argument and pursue it is frustrating. There are parts of the narrative where it seems that the Cadbury family are virtually abusing their workers, and yet it seems that the reader is expected to sympathise with the owners, not the workers, whose discomfort is almost brushed over. I don’t mean to imply from this description that Cadbury Wars induced strongly negative feeling about the Cadbury family. The book didn’t move me to strong feelings about anything. I am describing my frustrations with the text in an attempt to explain why I found it so profoundly dull – but in doing so, I think I may have inadvertently highlighted the more interesting debates. The only way in which this book really affected me was that I bought some Rowntrees Fruit Pastilles, which I haven’t bought for years, after reading an extended description of them in the book. And I enjoyed them. I find it hard to fully justify why I enjoyed this book so little, particularly when others have felt so positively towards it. Perhaps it is reflective of my mood as I read, or perhaps I hold some unidentified negative association with Cadbury. I certainly can’t recommend Chocolate Wars, but my single note of disapproval shouldn’t put you off: there’s a chorus of celebration of the brilliance of Chocolate Wars, so perhaps it’s worth reading anyway. Chocolate Wars is available now from amazon.co.uk in paperback and on Kindle. This 2,141st post was filed under: Book Reviews, Deborah Cadbury.